Okay... I have to say that TEACHING is just so important and special to me. I LOVE getting to talk and meet crafters/scrapbookers. No matter where I am... in the entire world... there is ALWAYS a connection. I am flying to Madrid Spain on Wednesday morning to go teach. It is a quick trip and I am so honored to be asked to come teach. I am so inspired by seeing what and how others use my lines. I am inspired by the stories of peoples lifes. I do my own event each year with Ginger (event coordinator superhero!!!!) in Henderson NV. This next year 2014 will be our 8th event... our 7th MAIN IU event. It sells out so fast and we try so hard to get MORE people into the event. This year we had a GREAT amazing... magical year. I just keep thinking how can the next year match the last year. However, it always continues to grow and we do it each year with love and putting our heart into it. A few of the projects that were taught at IU. I can't thank the teachers and all who came enough. IU is only a huge success because of those who attend, our amazing sponsors and teachers. Oh, and of course GINGER!!!!!! So I wanted to announce Inspiration Unlimited 2014 is a big GO!!!! It will be held at the Green Valley Resort again and the details are: September 26th and 27th 2014. I am so thankful that they accepted and will teach along side me. It will be a special event. I am giddy with the line up. These girls are all so talented and HONORED that they said YES!!!!! If you have any questions about IU or want to be on the wait list please contact Ginger Nelson or myself. I wish we could get everyone on the list in. You never know we might try to do two one of these years. My favorite day of the week is Sunday. I am just always so thankful to be able to be home with my family and go to church each week. Right now, I miss that Ty is not able to go to church with me. I miss sitting beside him and holding his hand. I have always been so proud to be his wife. I realize that I took so many things for granted. It's really the little things. I have the most loving church ward. They are so concerned for me and our family. We moved to Murray Utah about 16 years ago. I never thought we would live in our home or area as long as we have. I simply fell in love with our neighbors and friends. I knew this was where we should raise our family. I have been surrounded by friends who inspire me so much. This weekend I went to the viewing and funeral of our dear friend Craig. Heartbroken and sad, I just had a hard week. I decided to go to the store last night(yes, we had NO milk) and NO food and I prayed for comfort for the Buchi family and for peace in my heart. I was just dragging around and feeling sorry for myself. I knew that I needed to dig deep and feel peace. I pulled off the side of the road and prayed. I needed the silence. I felt an OVERWHELMING feeling come over me of LOVE and strengthn beyond my own. I instantly felt strongly that God gives us trials and hard times to help us and HE is with us during these hard times. I felt like a bubble surrounded me with LOVE and HOPE. I knew Craig was with God and that I must remember him and his example as an example to me in my own life. I need to be happy and support Ty so that he has a cheerleader around him. I love him so much and he needs me to lift him when he is down. I know I can do this. 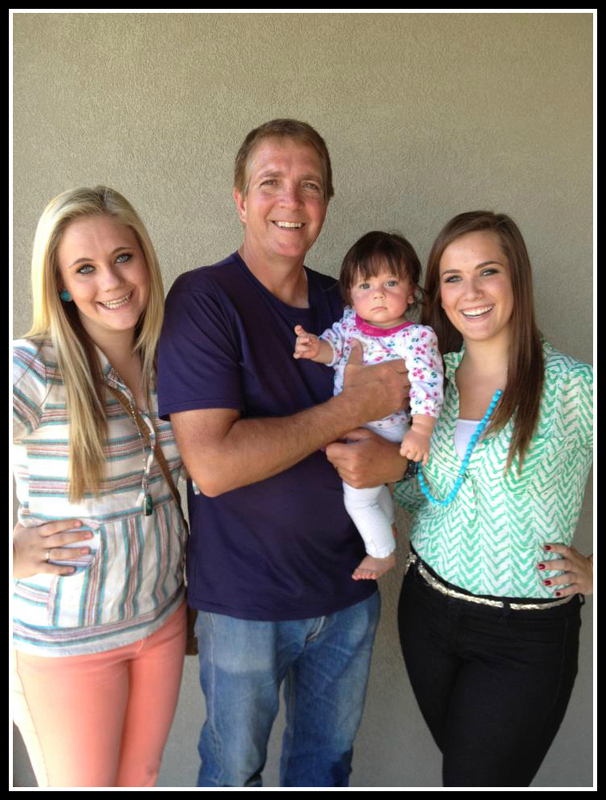 I wanted to talk tonight about my daughters Taylor, and Gentry. My sweet girls let me call them NUMEROUS times a day and night. They listen to me over and over again. I am one very thankful mom. They went to the viewing and funeral with me. I love that my girls and I are so close. I love that they actually want to spend time with me. It's hard because I do miss McKay. They are like the three muskateers. My girls are very close. I wish Kayla was closer because she is loved and now part of the family of girls. The four of them are so much alike and they just love each other. Everyone has asked how McKay is doing on her mission. She is so happy and so loves the Spanish language and people. McKay truly radiates and we are blessed as a family with her service right now. I write her every week, we email each week and I keep her updated on dad. I keep sending her packages of socks, Essie nail polish and notepads. I wanted to share some ARTWORK that Gentry is doing and selling on ETSY. This was one that she made custom for Amy. I love that Gentry can use her art background and talent to make such beautiful reminders for the home. I told her I'm next. I want a white, gold and glittered one for Christmas. They take about a week to create and she does them all by hand. I love that she is helping support Devan as he is working on his next degree. Check out Gentry's shop https://www.etsy.com/shop/YouAreMyHappyShop?ref=l2-shopheader-name she can probably do just about anything you want. I am thinking of have her help me develop a collection using her artwork. Yesterday my sweet neighbor Rachel brought our family the most wonderful dinner. I had to work yesterday for a few hours and I was a little frazzled trying to do so much. I just feel guilty that I'm not able to do things like I used to be able to. I was so thankful that she came over and eased by load. My "cute" husband was up in bed and he heard our conversation as she came to drop off the food. She asked..."Are you doing okay." My reply was that "I'm great." I did not even think about what I said. I try to be REALLY strong. I just don't like to break down in front of people and especially around my boys and Ty. It's easier to say... "I'm great." I went upstairs and checked on Ty when she left. He said... "you shouldn't say that your great when your not." I was a little in shock. I never thought about it. I realized he was right and yet it's just how I am getting by. So I am going to TRY really hard to accept the sweet acts of kindness around me. I am going to be "okay" with admitting I am struggling a bit to do it all. I think more than anything I am sad to see Ty going through so much pain. It looks like the agressive treatment to treat him is really hard on him. The past few days has been difficult. Tyler's pain after his second treatment has kept him in bed and in constant intense pain. We think it is from the $7,500 shot (yes, that is not a typo) that he gets with each of his treatments. It causes him so much pain and he is up all night long. I try to stay up with him but usually I will fall asleep and then wake up to check on him. I feel hopeless with helping to make it better- I know I can't. I rub his lower back at times and we have to be really quiet in the house. The sounds are hard for him and hurts his head. This is our new normal for now. The kids have been so amazing and I feel so much appreciation for them. Today I had to go run a quick errand and I just "lost" it in the car. I bet the cars driving past me would think I was a complete mess. I cried not for me. I am so much pain because of how much pain Tyler is in. This just makes me so sad. So I guess you should know that I am okay... but not all the time. I have many moments of just being so thankful. I am thankful that we found the cancer and are treating it. I am so thankful for the Huntsmen Cancer Institute so close to us. I am so thankful that I have a STRONG family and support. I know today I am more emotional. I know my dear friends are suffering from the loss of their dad and husband. The viewing and funeral is going to be hard. So now let me share some GOOD NEWS... my company is thriving and growing. I am even hiring anothers sales assistant. I need someone about 25 hours a week in North Salt Lake. If interested, please email me. I am growing as a company and in this economy... I just feel like God is blessing our family. Did I mention Santa's List is almost entirely sold out? All the lines were a HUGE success. So I need more help to continue to grow. Also.....I am teaching in Arkansas again. Yes, please come and bring lots of your family photos. I recommend 4x4, 4x6 and 5x7. Oh, and everyone gets their own FAMILY STORIES stamp in the workshop class kit. Yes, we will be using my new TC eBosser machine and folders. This project is so pretty. It's definitely going to be full of technique. Embossing is just HOT and so on trend right now!!!! To sign up please contact THE SCRAPBOOK ATTIC in Searcy Arkansas directly. *projects Christmas and Memorabilia will be taught one other time in CANADA at Clipper Street. I love designing projects and I love teaching. I consider myself the LUCKIEST girl to do something that I love and feel so passionate about. Preserving memories... I am constantly pushing myself to be a MEMORY MAKER. Just wanted to share one last thing... when I feel a little down- I just tell myself to STOP and think- COUNT YOUR BLESSINGS name them ONE BY ONE... and I quickly release that I am beyond blessed. Well, I made it through a really busy last week. I was on HSN (the machine SOLD OUT) and now they ordered MORE. If you want one you can still order online. www.hsn.com. I am very thankful the machine was so well received. It embosses and you can use your die cuts (all of them)from all your fave brands as well. All in large format 8.5 x12". HSN was a whirlwind. I flew directly from Florida to my event in Vegas. Oh I have so many fun photos but just honestly don't even have the time to share them.These girls are like family to me. I laughed and cried and prayed with many of them. I shared from the heart and truly LOVE each of the girls that come each year. This is hard to not blog more and share more. I don't have time for alot of things right now. I just have to remember that I can only do so much and family is always first. I flew thorough the night to go to Scrapfest. I had taught 18 hours in the two days at IU and went directly to the airport after the event was over. I was able to sleep 2.5 hours and arrived in Minnesota at 5:35 am. I could not check into the hotel and was so tired. Thankfully a sweet girl offered to pick me up and made sure I got to the Mall of America by 10am. She let me "freshen" up at her house. I was tired and emotional but I was honestly so appreciative for the girls at Scrapfest. My classes sold out (over sold out) and EVERYONE surrounded me with love. I arrived to find out that flowers had been delivered for me. I cried... so touched. Many many girls gave me cards and gifts at IU and Scrapfest. Oh how my heart is tender. Thank you Jami and Jean for these flowers. It was such a thoughtful and kind thing to see when I arrived. I taught two classes and felt so uplifted by this and the girls there. I am home now. I am with my best friend Tyler and my kids. I just want you to know that my mother in law is really amazing. She cooks, cleans and goes above and beyond to help our family and her son right now. I could NOT do this without her. She inspires me to be a better woman. Okay... I am super sad. I can't sugar coat it. As I boarded my flight yesterday to come home I got a text from my son Zach. He said our dear friend Craig had been killed the previous night in a biking accident. I was in shock. I texted him back... ARE YOU SURE???? This can't be. I got in my seat and cried. I just keep crying silently and the man beside me noticed I was upset. He helped distract me and I talked to him for the 3 hour flight home. Craig and his family have been a part of our family for 17 years. When we moved here to Murray, they befriended our young family immediately. 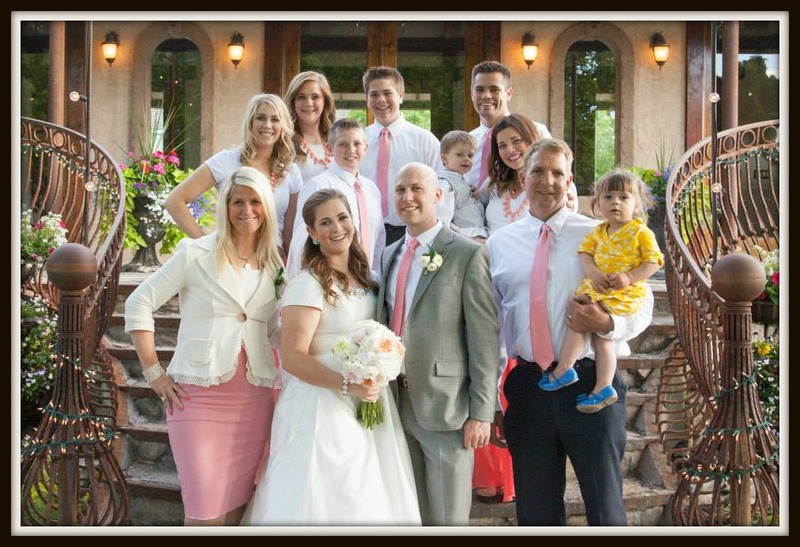 Craig has the most beautiful family of four children and now grandchildren. I have loved this sweet man and family so much. Our children grew up together. 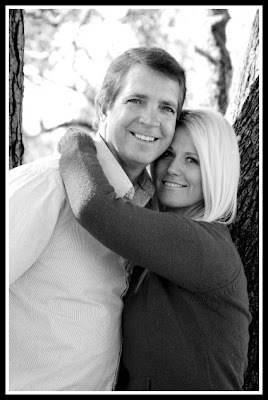 Teal and Gentry were "best friends" since Kindergarten and his wife took my 4 children in when I had my stroke. I mean literally took my children and helped raise them for me. Craig was our home teacher and Ty was their home teacher over the years. So many memories. Just over a week ago, Craig came to my house to talk to me about Tyler. He was so concerned for Ty and our family. He was a GIANT of a man. He was only 58 years old. When I say this man was the best father I have ever met, (other than Ty... I'm biased)I mean it. If there was a guide book on how to be a dad/father- he would be the photo and inspiration. I had to share because I don't think he knew how much I admired him. I wish I had told him this. When he came over recently, he told me... "when he heard of Tyler that he was sick over it... and he was thinking... "live every single day and cherish it, because you just don't know what is ahead." Well, Craig... YOU are forever in my heart and our family. I will be there for your beautiful wife and my friend. I went to her house yesterday and just cried and shared my love with her. I wrote a letter to her and kids of memories of Craig. I know she will one day appreciate the letters. So last night, I got my phone out and uploaded my 4x4 photos to get printed. THIS is my life. I will cherish the good and bad days. I will be HAPPY and know that EACH day is a gift. Even though Ty is really struggling right now... we will do it in faith. We never know what the next day (next hour) will bring. I am going to find the good in the bad. I sent the photos to McKay today. She loves seeing photos on her mission. THIS is what she asks for EVERY WEEK. This warms my heart! Take more photos... capture the love, the feelings and moments of your life. Ty is having lots of bone pain and very weak right now. He is between chemo treatments and his counts are extremely low. He has now had two chemo treatments. I rub his lower back and he tries hard not to take medication for the pain. At times, he just has to so that it is bearable. He is so strong so when he does take morphine he just hates it. He is up every hour through out the night. I am amazed at this strength. Ty has lost 35 lbs now. He is positive and inspires me to be a better person. It is day by day and I am thankful that I am blessed to be with him and help him. I would do anything to help him and ease his pain. My event Inspiration Unlimited starts today.... so thankful for this event and that Ginger is the best event coordinator ever. She is the most organized girl ever and well we just work well together. We never thought 7 years ago that as we planned the first IU event that EACH year it would sell out and have the waiting list that it has. I know why it sells out. I know that it's MORE than the projects. I know it's because the HEART of all that matters in perserving memories and life is the CORE message that MUST be shared each year. These darling crafters hear my stories EVERY year. They know that I love each of them. That is why we limit the event to right under 300 students. I want to personally be able to talk and share with each of them. I teach over 18 hours today and tomorrow. Last night we did the meet and greet. I am so uplifted by their love. Did I mention IU is about LOVE and sharing? It's all about leaving a legacy. I have been surrounded by love here. They are my family and I love that this is our 7th IU event. Many people are asking... will IU 2014 happen... YES!!!!!! Thank you Joey Otlo & Kelli Collins (Bazzill), Vickie Boutin, Sherry Mendoza, Stephanie (Bella Blvd). Pre-IU workshops were a huge hit. Thankful for a SOLD OUT event every year. I have 2014 teachers ready to announce on Saturday night. If you want to be on the waiting/notification list please email me. I forward it all to Ginger. Okay... could not sleep again... up at 3am. My mind is racing... so many things always in my head. My husband is home in between chemo treatments. We text all the time. He is my biggest fan. I love him. I miss him. I think he is the bravest man I know. He is doing better (so far) with the chemo #2. It's a day by day thing. I love that my mother in law emails me updates in the day to keep me posted on him. It gives me so much comfort. I have two more shows in the next few hours. I wanted to share a little behind the scenes and some photos. This is a stamp that I made from a photo of my kids and the grandbabies. I love this sooo MUCH!!!!! See the photo on air today. These are stamps that I made with the machine. Yes, my signature is a STAMP on this one. I love this!!! Okay I love that I made a STAMP for my event. Here is stamps for my cruise event with EMI Scrapbooking too. The stampmaker is all about creating what YOU want and need for YOU. It is so easy to create a stamp in less than 5 minutes. Yes, I will be demoing the stamp on air today. Now for photos from my last airing of the TC eBosser machine. So many of you ordered and that made my day. THANK YOU... you are going to love it. I love going on with Suzanne. I talk with my hands... so me. I was coughing so hard before I went on and felt so bad to be sick. Hopefully no one noticed. I think I am a little run down and my body is catching up with me. Yes, FREE shipping and $199.95. The flex pay is a affordable way to have a early Christmas gift. This machine is the ONE machine that really does it all. I can see why everyone was so excited like I am. Here I am again TALKING with my hands and showing how to use the machine. LOOK at the detail of the embossing. It's smooth and even throughout the image. This is the THIN metal dies. I used felt... yes, I cut felt. This machine will do this. It's unheard of. WOW... I love it!!!! You can use all the great brands out there in this machine. I have one more airing today at 6:00 pm Eastern time. You can watch and or order right now at www.hsn.com. Today is going to be another fun day here showing my favorite machines. The world launch is FINALLY just a couple hours away. I thought I would share a cool video that Cheri Piles did with my new machine. I know you will LOVE that is embosses and diecuts ALL in one machine. I will be demoing and sharing on air soon. It is a super fabulous introductory price at www.hsn.com. You can watch me at 1:00am Eastern time. Super excited. Did I mention I have a cold and have been coughing for two days???? I hope I can get through it without coughing. Headed now to HSN for hair and makeup. I took the red eye this morning and I'm in SUNNY Tampa Florida. I got on air at 1:00 am for the first time tomorrow. I have only slept 4 hours total with the two flights to get here so I am definitely going to need a nap. FINALLY, the TC Craftwell eBOSSER will have it's world wide launch. I love the machine, believe in it... use it... so I'm passionate about it. I am so THANKFUL today for so many things. I am grateful that Ty was feeling so much more strength the last few days. Chemo was very hard for him so we don't know what to expect with his next treatment. He kept telling me he doesn't want to do it again. I can't blame him. However, with as agressive as his type of cancer it's necessary. We are amazed how his lymph nodes shrunk back to normal within 2.5 weeks. It just gives us hope that it's working. It was hard for me to leave Ty and honestly I cried all weekend. He assured me that he loves me, is proud of me and that he appreciates that I am able to work. He got a pin last week for 25 years of practicing medicine from the podiatry board. EMOTIONAL... Trying to get everything out of his office has been A LOT of work. Just seeing so many blessing coming to us at this time. Our love box is a constant reminder of love and service to us. It starts today... TC eBosser blog hop!!!!! Are you ready for one of the biggest blog hops? Thank you to our friends at Craftwell for hosting this amazing hop with over 250 giveaways!! This hop will be today and tomorrow! You will see so many wonderful projects, videos and inspiration including this project by team member Yvonne using the new TCebosser by Craftwell. It's happening TUESDAY September 17th!!!!! Just in time before I head to HSN. Starting tomorrow join us for the TC eBosser Blog hop. It will start tomorrow at 8:00 am. Also, just letting you know that TODAY only... you can save 20% off at www.twopeasinabucket.com. I know many of you don't have a local store and they carry my newest product lines. We are busy packing up Ty's office and preparing a home office for Taylor to continue with Ty's billing. SO thankful for the help from our boys and their strong friends. This is the LOVE BOX. The Love Box was delivered to our house this week by the Relief Society (our church woman organization). Our sweet neighbor Brother Jensen built this nice box for us. It is labeled "Love Box" and is put it on our porch. They brought it over and explained that it is there so that anybody can bring by meals, treats, messages or anything that they think my family might need anytime of the day. They can leave it in the box so that they don't have to ring the doorbell in case Tyler is sleeping or we aren't home. Plus, they don't have to worry about germs since this is a issue we are being really careful with. This was one of the gifts that was given today. It is the most thoughtful idea to do this. I can't tell you how much it means to our family. It has opened my eyes to the word SERVICE and helping others. Each time I pass my front door I just feel LOVE and supported. I wish I could bottle this feeling up so everyone could feel it. This afternoon one of our neighbors called and said dinner is going to be at your house at 6 pm. It was not a question but simply plan on it. I cried because I feel lifted and helped in a time that we really need it. I want my neighbors and friends to know that I love them so much and this gift is forever etched in our hearts. This box will be a reminder to me until I leave this earth of the love of others. It will remind me of the good in this world and in people. I would like to pass this box on to my future posterity and talk about this time in our life. I will be a better person from this time in my life. Dear neighbors and friends- Thank you for your compassion and willing to serve our family. Its so hard to accept help, but we had a lesson in church on Sunday that made me realize that by serving others we are helping someone and also being blessed by being able to give service. The LOVE BOX... I shared this with my children as soon as it arrived. Gentry is inspired to make her own LOVE BOX for their home. They will put notes, and such inside their love box. The world would be a better place if we all had our own LOVE BOX. I thought I would give you an update on Tyler. I know many of you come to my blog for inspiration. I am still crafting... just lately my time has been taking care of Ty and the kids. I have so many people who call, text or email for updates and I plan to keep my blog updated so that it's easier to communicate. Ty actually feels better in the past couple of days than he has in a really long time. We can see the lymph nodes shrinking after his first chemo treatment. Thankfully, the pain has went away for now. We feel so blessed. I am seeing miracles. For example, we knew he was going to have to shut down his practice. Within a WEEK... yes, a week- he got a call from a fellow podiatrist who introduced him to another young doctor who was interested in talking to Ty. I am happy to say in just days it has worked out and in less than two weeks his practice is being turned over. I know God was blessing us with this so that we could focus on this next year. Ty is really dreading his next chemo treatment because immediately within hours of the first treatment was so sick and then was hospitalized for five days. We had a long talk today and Tyler said to me, "I am dying of cancer but I am fighting it and going through treatment so it's gone." I said oh no... don't say it that way. He said, "But it's the truth." It's scary to think about, but then he said... "because of this I am a better person and I want to even be better." We talked about how things just don't matter in this life. You don't take them with you. It's all about the relationships- the love. I always thought he was amazing and now I see him changing into a more amazing (if possible) person. We have grown closer and are growing closer each day. I always think as I see couples pass me... "don't take each other for granted and love love love each other." My "new normal" has me cooking special meals for Ty, cleaning more, laundry (yes, Ty liked to do the laundry), and balancing work while we shut down his practice. Mostly I am strong and can juggle it all, but his week has been hard. I have THREE events next week. Yes, next week is my BUSIEST week of all year and normally always is. Tuesday- I'm on HSN. It's the World Wide Launch of the TC Craftwell eBosser machine and I'm showing the NEW TC Stampmaker. Air times 1:00 am , 4:00 pm and 6:00 pm Tuesday Sept. 17th. I hope you will watch! I am more than ever thankful for my company and that I will be able and in a position to to work and provide for our family now that Ty is not able. I never thought years ago that I would be in the position to bless my family in this way. This is a blessing for us. I am trying to figure out how to manage and balance it all. I just take it a day at a time. I am seeing many miracles and blessings around me. I am fortunate that the times I do need to leave and work, I have the BEST support team watching and taking care of my husband and children. My husband is still my biggest cheerleader and believes in me and the message I hope to promote and inspire in the crafting world. I will say that although this is sad time and difficult for us, we are turning to the Lord and finding happiness in the simple things. This morning as I woke up, Ty reached over and just held my hand. It's these little things that I will never take for granted. It is the conversations we have with each other about how much we love each of our children and each other. We talk about the love and support of those around us- it humbles us. These are the things that mean the most. 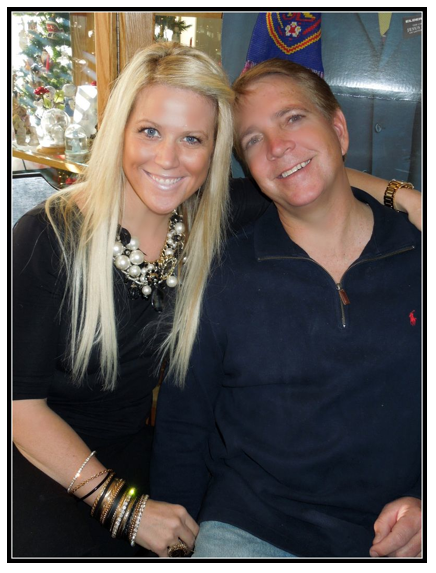 My sweet daughter Taylor wrote a blog post today that really touched my heart. She talked about Ty being her "bonus" dad and the feelings that she feels towards him. I was crying (easy for me these days) because of the love that I know is felt within our family. Her blog is at www.taylorpier.blogspot.com. You should read her sweet message about Tyler. I simply am sharing it today. I love you Taylor. I am thankful that both my girls are blogging and documening life...feelings and what matters most. I am a lucky girl. Look at my amazing family. This is my Dad's side. The Pier Family. Shane and Ryan not in photo. 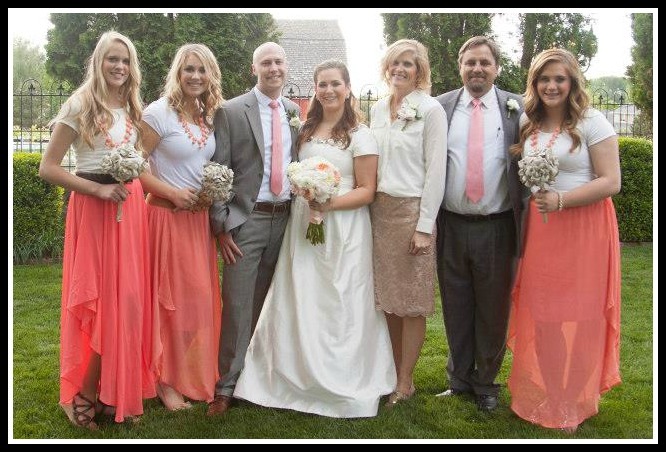 And this is the most recent Collins family photo. As a child of divorce I have been blessed with two families. My parents divorced when I was 6 and both were remarried by the time I was 9. I grew up with two moms and two dads and lots of siblings. We don't use the word "Step" in describing who they are in my life. We use the term "Bonus". I have a bonus mom and a bonus dad and love them just like you would a biological parent. I love all my siblings as if we were full blood. I couldn't imagine my family any other way at this point. So when I told someone about Tyler having cancer and they asked me why I cared so much since he was "just my step dad" I was shocked. I feel everything has been a shock lately. You really never think it is going to happen to you or someone in your family and then it does. The past few weeks have been such a blur. It feels like time has stopped and at the same time it is moving in fast motion. From the moment Tyler's cancer was diagnosed it has felt like this. When my parents divorced and my mom married Tyler I had two dads. Tyler has been to all my birthday parties, he would "interview" boys when they would pick me up for dates and truly loved me and my sisters like his own. Just like any other parent he sometimes got on my nerves and pushed my buttons. Overall he has been a great role model for me and been a support throughout my entire life. I truly love him with all my heart. Finding out he had cancer was horrible. Many tears have been shed and a lot of prayers have been said. It has been horrible to watch someone I love be in so much pain and unable to do anything about it. If you would like the whole medical side of this story my mom has shared it on her blog. She truly has been the rock of our family lately. What you won't read on her blog is that sometimes she calls me at four at the morning when she can't sleep crying. She stays so strong for our family and so she can run her company that when it is late at night and she has run out of things to keep her mind busy that she lets herself not be strong for a little while. She is such a great example to me and I can only imagine how hard it must be to watch her husband be in so much pain. Mom and Tyler have been married for 17 years. During their marriage Tyler has also been so supportive of my mom. My mom has never had to mow the lawn or fill her car up with gas or other small things. Tyler is always trying to take care of her. He has missed an anniversary or two but I can see the love they have for each other. They write each other little notes and leave them on the bathroom mirror before they go to work just to say I love you. I have been able to watch the roles reverse between these two the past few weeks with my mom taking care of Tyler. I have loved watching them lean on each others for support during this hard time. Not only is Tyler my Bonus Dad but I also get to work with him. He is a podiatrist and I am the office manger for his clinic. Now working him has been great sometimes and also not much fun at others. It can be hard working for him because he is my dad. Most of the time it was just like any other job. I have worked for him for 3 and half years. During that time I have only gotten closer to him. There has been multiple times when I was having a bad day and he helped me through it with a kind word or hug. It has truly made us grow closer too. An amazing thing I been able to witness because of working with him is how much he loves his job and how much his patients love him. He has hated that he hasn't been able to see his patients. He knows his patients very well. He knows about their families and jobs. He asks about how their vacations went or how the tomatoes are growing in their gardens. He treats them medically but also considers them friends. One the hardest things for me has been having to reschedule or cancel his patients appointments because of a chemo treatment or he was just to sick to come in. It has also been a blessing in disguise. Every time I had to call and let a someone know about Tyler's cancer I have heard wonderful things. Many patients have cried on the phone with me expressing love and friendship for Ty. It has been amazing to know that so many people care for him and are praying for his recovery along with our family. I was at my parents home a few weeks ago and it had been an emotional day for our family. I had never seen Tyler cry growing up. The first time I ever did was after his cancer was diagnosed. Since then I have seen it many times. And my heart breaks every time. This day he was crying after being given a blessing of healing. He was giving each member of the family a hug and telling us how much he loved us. When he hugged me there were already tears rolling down my face and his. He said to me "Here is my best friend. I spend more time with you because of work then I do with anyone else. I love you so much Tay." It is a memory I will forever cherish and describes our relationship perfectly. This man is a great father, husband and grandpa. He loves spending time with the grandbabies and playing on the floor with them. Even after he was diagnosed and was in so much pain he was taking my brothers fishing and going to baseball games. He is such a fighter. He has only had his first round of Chemo and got a mean infection a few days after that caused him to be hospitalized for 5 days. I was able to go up and visit him the day after he had the hospital staff shave his head. He looked so handsome even with no hair. I know our family is going to have a long journey ahead of us but we are so close and I know that we will stick together. We will come out stronger because of this trail. We have amazing friends who are giving us much love and support. There hasn't been one day since we told our ward at church about Tyler's illness that someone hasn't reached out to lend a helping hand. We truly have an amazing support system. I don't want anyone to doubt my love for Tyler just because he is my "stepdad". He is more then that. I am grateful for his love and his support of me. I am cheering him on everyday and praying for him constantly. He is an amazing man and is going to fight this cancer with all he has! I am proud to be his bonus daughter. **** I am so thankful that ALL of our children- his, mine and ours are united in feeling that we are family. We love our each other and are so united. There are no half, step and such labels. We simply love each other!!!! I read every single commment, message, text and more. I wish I could respond to each of them. I cried and felt inspired. So many words that uplifted me. THANK YOU. My heart is truly breaking and saddened to share what I am about to share today. I felt it is time to share the personal situation that we are facing at a family right now. You see we recently found out that the love of my life... my very best friend in the entire world has cancer. In fact, right now is in the hospital at the Huntsmen Cancer Institute. What started out as swollen lymph nodes a couple months ago is now advanced and spreading. Ty has Non-Hodgkins Lymphoma T-Cell peripheral cancer. I have spend the last couple of months praying that it was just a really bad infection, going through denial, acceptance and supporting my best friend through it all. I married the love of my life 17 years ago and that is simply not enough time with him. I have tried to keep our family life normal. I took over as much responsibility as I could to help. I rarely sleep and tried to keep up with my work commitments. I even went to South Africa to teach and taught in Johannesburg and had to leave to get back to Tyler when he wasn't doing well and was hospitalized. He got a infection after chemotherapy and I flew home right away. I cried nonstop both to and from S. Africa. I missed teaching my workshop in Cape Town SA. I felt so sad to disappoint the students but I knew that my husband and children needed me. The time I was in S. Africa was beautiful and amazing. I cannot even think how to even express the emotions of my heart at this time. I've had so many ask questions about his condition so I thought I would share what occured. My husband found two swollen lymph nodes in June. Since he is a doctor he thought he had a infection and decided to treat himself with antibiodics. Within days he was feeling symptoms... being hot, tired, starting to feel some pain from the "now growing larger" lymph nodes. Then more lymph nodes in his neck and head appeared. They were getting bigger and he was feeling more uncomfortable. The lymph nodes grew so fast. Ty had them in several areas of his body. If you read online it says to wait a month to see if you are fighting a infection and so he did. At this point, our kids knew dad was not feeling well and that the lymph nodes were growing. They now were causing Ty not to be able to do the things he wanted to. He went to work and would come home and head to bed. I think we were both in denial and wanted to think it was a REALLY bad infection. Watching someone you love in pain and not being able to help them is pure torture. It came to a point that Ty was experiencing severe pain, night sweats and so many lymph nodes swollen that we knew it was serious and needed prompt medical attention. Tyler made an appointment with his friend (his friennd/ physician). Upon seeing Ty and all his symptoms insisted he do a CAT scan right away and blood work. He knew that something major was going on and wanted him to get to the bottom of it. The blood work showed an infection. This gave me hope that he was going to be okay. We can deal with an infection, right? The CAT scan showed very large lymph nodes throughout his body and in his abdomen. The evening after the CAT scan they called us to head to the ER room right away since the nodes were compressing 30% of one of the valves- the blood flow going back to his heart. This was the beginning of the nightmare that we have not woke up from. They called back minutes later and told us to wait to come up to the Huntsman Cancer Institute. They wanted us to meet with the Lymphoma oncologist. My head was spinning and it has been spinning since. We found we would need further testing including a echo cardio gram, bone marrow biopsy, and surgical biopsy of a lymph node. After a week of nonstop tests at the Huntsmen Cancer Institute, lots of blood test and meeting with Dr. Sweetenham we learned what we were facing. As we sat in the treatment room, I wanted to cry but I knew I needed to be strong for my husband. I knew that with every fiber of my body that I would do anything to help him get him better. CANCER... agressive cancer. I immediately knew that we were going to face this journey with my husband with a fight. I had for days been having a gentle reminder from God..."ENDURE IT WELL." I knew this was going to be the biggest trial and journey that we would do together during our marriage. The doctors advised us to NOT go online. It's not positive and encouraging and well, I choose to live with faith that he can and will be healed. Call it denial or whatever... I don't care. I am not going to give up hope. I can't and I won't. I am so thankful for my faith at this time. It really is what keeps me going. I have to be strong for him and our children. There is NO other option. I can't lie... this has not been easy for us. Many tears have been shed and my children are scared. Ty is very emotional and we are trying hard to keep him encouraged. I have accepted that is okay to cry but to try to not do it around him. He needs me to be strong and to be his rock. As much as I can, I am trying to keep life as normal as possible for our children while Ty's getting treatment- chemotherapy. After his last chemo treatment Ty will have to have a bone marrow transplant (they said at least a month in the hospital), followed by months at home trying to recover. He will no longer be able to practice medicine and we are preparing to shut down his practice. I knew I needed to encourage our family to keep doing the things they always did without feeling guilty (enjoying hobbies, playing sports, spending time with friends, and so on). Children, especially, benefit from the routine, but adults also find that it offers them an anchor for day-to-day life. I have no idea how to handle any of this. I just know that I would do anything for my husband. I am going on little sleep and have a hard time concentrating on anything. I have went to all his appointments and held his hand. I wish I could do more. I am blessed that I can design and work from home. God has blessed me to have times when I accomplish much and feel inspired even during this difficult time. I see the great blessing in that I can work and provide for my family as needed. One of the things I am is a optimistic person. I can't help it...it's just who I am. I am waking up each night about 3 am and can't sleep because my mind is racing to come to grips with this. I am desperate to find a way to support encourage and keep my family going. I knew from the very beginning that as his caregiver I was going to be his biggest cheerleader. I believe it's paramount that we handle his cancer together with the right attitude. If you want to live, you have to have that attitude going into it, and throughout the entire experience. You must put your heart and soul into the desire to want to conquer it. You simply can't give up and I remind him of this many times each day. It is attitude, attitude, attitude. I just see no other option but to fight this battle together. I have hope. It's a simple as that. The internet will tell me otherwise and scare me. I am thankful to have a testimony of Jesus Christ and believe all things are POSSIBLE through him. So if you wonder why I may have not been texting, emailing, posting as much well you know why now. I need to express my deepest gratitude to my wonderful friends, neighbors and family who have helped us with so much support. It is so appreciated. A very special thanks to Taylor who works for Ty and has had so much to do to help during this time. Also, Tyler's mother has went above and beyond and even moved in with us temporarily to help us. We are united as a family to support him and each other. I was completely shocked when I saw that Gentry had did a blog post about me. I saw it and went to her blog. As I read it I cried (actually sobbed). I do not see myself as she sees me. My heart was tender. So many things are going on right now in my world and when I read this I felt so very honored that my sweet Gentry saw me this way. It made me realize that maybe just maybe I have done something right as a mother and person. I want so desperately to be all that she posted. I will work towards that goal. I was recently teaching a class in Johanneburg South Africa- yes, it was an amazing event (SA Scrapbook Convention) and I was so thankful to be able to teach at the two day event. I was sharing why I scrapbook...why I document life...stories and people. I was overwhelmed with thankfulness. I felt so much gratitude for my family and for my many blessings in life. I think being so far away from home always makes you so grateful for what you have. I was able to teach two days and meet so many wonderful beautiful women. Many had waited a long time for me to come. I have to admit, it was hard to make the long journey. I cried nonstop getting to S. Africa and during my stay. I missed my sweet husband and children. I used the time to reflect on things that REALLY matter to me. I thought of how many blessings our family has even in our times of trial. My heart was even more aware of the blessings of what I personally have in life. We simply must focus on what we have and not what we don't have. I am so grateful for the experience and for what it taught me. Beware- my son Zach is going to be the BIG 16 NEXT month. I can't believe it. He doesn't read my blog yet, so I'm safe to say that I really want to plan him a surprise birthday party. If you have any good ideas on what to do let me know. He has so many great friends. He just finished his driving course and now he just has to wait for the big day and go get his license.